War is what happens to you while you’re busy making other plans, right? 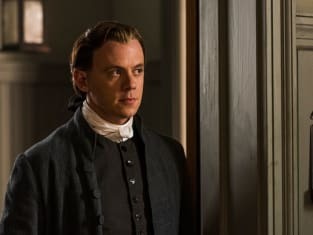 On Turn: Washington's Spies Season 4 Episode 7, Pvt. Abraham Woodhull tried desperately to coordinate his murder plot with his kidnapping caper while maintaining his cover as a Red Coat. Unfortunately, he forgot to sync his calendar with the British Army, and both schemes failed. 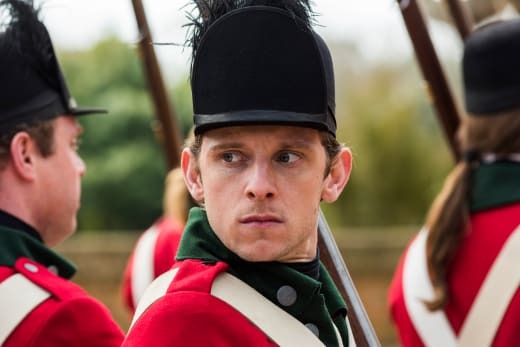 I did write in a previous review that the series would be a failure unless Simcoe met his demise in the final season (even if historically inaccurate). Abe and Maj. Hewlett finally settled on luring Simcoe to Gen. Arnold’s home and ambushing him there. That way Gen. Arnold could be conveniently kidnapped at the same time. The confusing timelines and competing plots had a charming “Who’s on First”-quality -- should we kidnap him on Wednesday or Thursday? When should we schedule the murder? When is the ad being published? While I enjoyed watching the scheming unfold, the tension -- from the storyline, to the score to the dialogue -- was sky-high in this episode. Why does everyone love you? Permalink: Why does everyone love you? He has a point. The ever-popular Pvt. Woodhull always seems to get what he wants, including a post guarding Gen. Arnold’s home on the night he plans to kill Col. Simcoe. Too bad Col. Simcoe figures out the plot beforehand (of course he does) and the Gen. Arnold announces a move to the battlefront for the American Legionnaires before he can be captured or Simcoe could be killed. After all their planning and scheming, the Americans are too late. Their plans failed and their spies are headed to Virginia with the British army. The sudden move south in the middle of the night also changed happy-go-lucky Pvt. Sturridge’s plan for the rest of the war. He only joined the American Legion because he was so sure that he would never see battle. Virginia? But this wasn't supposed to happen. We were supposed to stay here. Permalink: Virginia? But this wasn't supposed to happen. We were supposed to stay here. We’re in the homestretch of this series now! Will Abe and Caleb get their revenge? Will Mary’s new friendship produce any helpful intelligence? 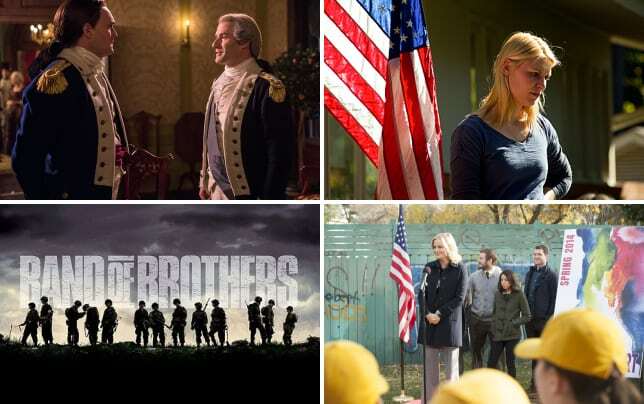 If you need to catch up on the season so far, watch Turn: Washington's Spies online now. Megan King is a staff writer for TV Fanatic. Abe: We'll pick this up tomorrow. Maj. Hewlett: Should we survive to see it. Permalink: Should we survive to see it.